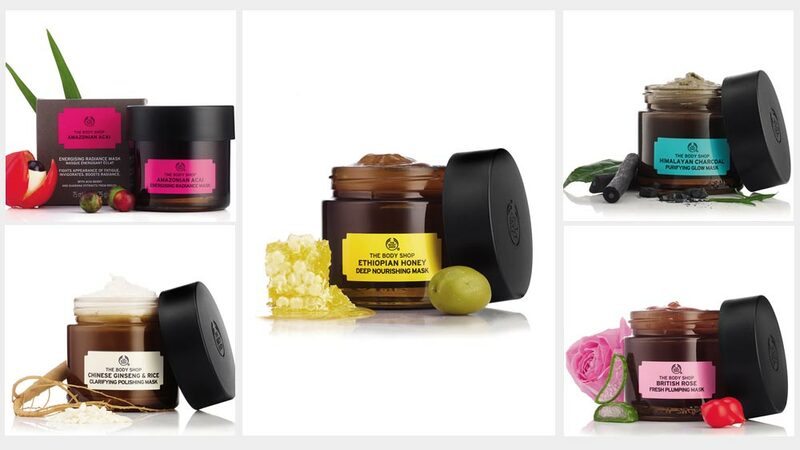 The Body Shop has launched its complete masks range consisting of five masks that are ‘100 per cent vegetarian’ and made of natural ingredients. Personal care products leader The Body Shop has launched a slew of new products taking its ‘natural’ and ‘vegan’ game one notch up. It has launched its complete masks range consisting of five masks that are ‘100 per cent vegetarian’ and made of natural ingredients. The products are also inspired by Ayurveda. Here’s a closer look at the five masks launched by The Body Shop and what their USPs are. This mask, inspired by Ayurvedic traditions, is a tingling mud mask and contains ingredients like bamboo charcoal from the Himalayan foothills, known to draw out impurities and excess oils from the skin. It also consists of green tea leaves from Japan, rich in antioxidants and catechins that effectively exfoliate the skin. It also has organic tea tree oil from Kenya, known to help keep the skin looking clearer. “While it’s among the newest superfoods, charcoal has long been known for its purifying properties. Charcoal attaches itself to toxins, absorbing them before the stomach can absorb them into the bloodstream. This is the same mechanism that powers Himalayan Charcoal Purifying Glow Masks purifying activity on skin,” says Jennifer Hirsch, Beauty Botanist, The Body Shop. For skin that needs to be quenched and re-plumped with moisture to reveal its dewy glow again. This mask is inspired by the European bathing rituals, and is infused with real natural ingredients like Real rose petals, and essence of hand-picked roses from Britain, that freshly replenish the skin’s water reserves. It also consists of rosehip oil from Chile, rich in repairing Omega 3 and 6 that helps tone skin. Community Trade organic aloe vera from Mexico is another ingredient in this, known for its gentle, calming and soothing properties on the skin. “For this mask, The Body Shop looked to its roots in the British countryside, collaborating with an organic farm in Herefordshire to produce a brilliantly British take on a classic beauty and fragrant ingredient,” says Hirsch. This one is inspired by African healing and soothing rituals, and blends natural ingredients. It is made of honey from Ethiopia, rich in nutrients that replenish and retain moisture to comfort and revive depleted skin. Another ingredient is marula oil from Namibia, a cold pressed light oil, known to restore and improve skins elasticity. It also has organic olive oil from Italy, rich in Omega 9 that helps boost skin elasticity and prevents dryness. “The decadent texture of this mask is created by blending Community Trade Namibian marula and Italian olive oils with Community Trade honey. The result is a rich gold liquid with soothing and moisturising properties to intensively replenish skin. This combination of hydration and moisturisation enhances the skins natural barrier function, enabling it to function optimally, and leaving it more supple, soft, replenished and restored,” says Hirsch. Inspired by Chinese traditions, this creamy exfoliating mask combines natural ingredients sourced from Northeast Asia and South America. It has ginseng extract from China, known for its skin toning and stimulating properties that help revitalise skin. The mask also consists of rice extract from China, traditionally used to moisturise and brighten the skin and also organic sesame seed oil from Nicaragua, rich in oleic and linoleic acid to soften the skin. “Rice is a food staple for almost half the world’s population, so it’s not surprising to find it at the core of some of the world’s oldest beauty remedies. Research demonstrates that rice extract has soothing properties that can help to calm skin irritation,” says Hirsch. Inspired by the rituals of Amazonian tribes, this juicy fresh mask has natural ingredients from South America. The acai berry extract from Brazil in this is rich in anti-oxidants and vitamin C that fight the appearance of fatigue. The guarana seed extract from Brazil is known for its energy boosting properties from its high concentration of caffeine. It also consists of organic babassu oil from Brazil, an effective nut oil known to soften, smooth and revitalise the skin. All these masks have been priced at Rs 2495. Earlier in 2016, The Body Shop had also launched its new concept store called The Asia Fit store bringing in more greenery to its display and highlighting its natural and vegan pitch. The personal care major is realizing the growing demand for all things natural and experiential and is bringing in new concepts to keep up with the growing competition. The Yoga stretch: A fit biz..